Back in June, you may or may not remember that I went to the wonderful, food and drink extravaganza, that is the Taste London Festival and although I did remember to eat something, it was a very gin-centric sort of day. One of the purveyors of gin that I met there, were the relative newbies, Pinkster, who were enjoying a fantastic response to their subtly pink and delicately flavoured gin. 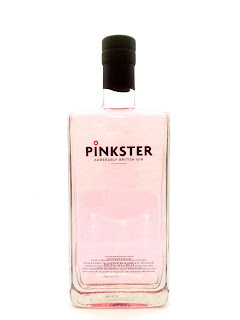 At the time, I was unable to take a bottle home and as yet, Pinkster is not available in stores, but can be ordered online and I am now happy to say that I have a bottle of my own and it has been well and truly tested - the results of which, I am of course, going to share with you all. When I received my bottle in the post, simply, but attractively packaged, I wasted no time in breaking the seal, popping out the cork stopper and having a good sniff. There's no denying the hint of raspberry about the gin, but it's very subtle and should not be mistaken for a liqueur and is no way, akin to a sloe gin. The aroma and flavour of raspberry is predominant, but very delicate none the less. First up is the Pinkster, Summer Punch Mar(tea)ni. 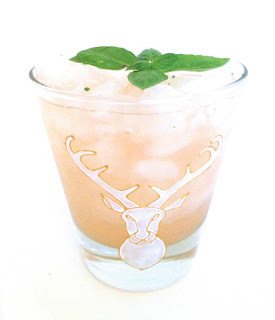 This is an adaptation of the Earl Grey Mar(tea)ni recipe, a drink I featured in my Mother's Ruin post and first accredited to Audrey Saunders, owner of the famous Pegu Club in New York. As with the Earl Grey Martini, the Summer Punch Mar(tea) requires infusing the gin ahead of time, with a teaspoon of Whittards Summer Punch loose tea. This tea is the perfect blend to use with Pinkster as it uses berry fruits and juniper, both of which enhance the gin's natural flavour. To infuse the gin, first pour 2 oz into a clean receptacle, add a spoonful of tea and allow to infuse for 1hr and definitely no more than 2 or the flavour will become bitter and woody. Strain the gin into a cocktail shaker and you're ready to begin. Add all of the ingredients to a shaker and dry shake (without ice), ensuring the lid is firmly on - dry shaking with egg white can cause a build up of gas in the shaker which can pop the lid off if you're not careful. When the mixture is very frothy (about 20 secs) remove the lid, add ice and shake hard again until the outside of the shaker is properly frosted. Strain the mixture into a martini glass or a small teacup if you prefer. This next cocktail has some herbal ingredients but nothing that overwhelms the drink. 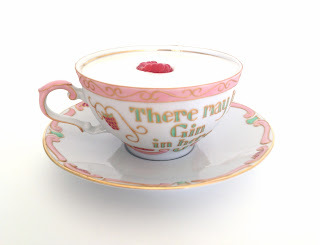 The initial scent of rosemary is wonderful on the nose and adds to the gin's botanicals and the addition of a little Giffards Creme de Framboises, plays up Pinkster's natural raspberry flavour. Add all of the ingredients, except the garnish, to a shaker with ice and shake until the outside of the shaker is frosted. 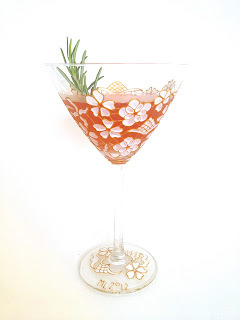 This next cocktail is a great alternative to Pimms on a hot day as it is fruity and refreshing and simple to put together. Add everything apart from the soda and garnish to a tall glass, half filled with ice cubes and stir to mix and cool down the alcohol. Add more ice and top up with a little soda.